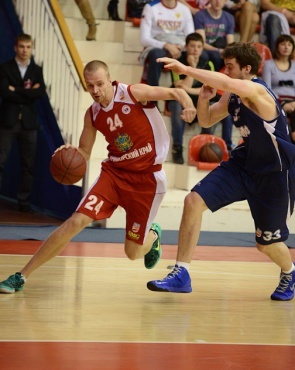 In the last PBL championship 2012/2013 game BC Spartak-Primorye at home faced BC Triumph Lyubertsy and scored victory in a bitter struggle - 78:71. There was equal fight from the beginning of the meeting but after a big break the home team recovered and took a lead. Season 2012/2013 is over!